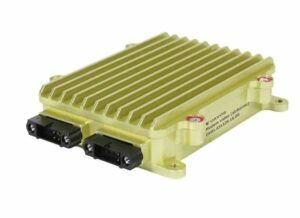 UAVOS has announced the release of the pMDDLRadio Data Link, an advanced UAV (unmanned aerial vehicle) communications system designed as an easy plug & play device that packages all drone communications (control, telemetry and payload) into a single RF channel, reducing cost and weight. With a weight of 23g, dimensions of 40x50x12mm, and power transmission of up to 1 Watts, the pMDDLRadio is ideal for not only UAVs but also UGVs (unmanned ground vehicles) and other robotic applications. The system complies with aerospace standard DO-160, making it compatible with a range of power supplies. The pMDDLRadio can be used both as an Airborne Data Terminal and as a Ground Data Terminal. It can download real-time video images, data and information from most available sensors.